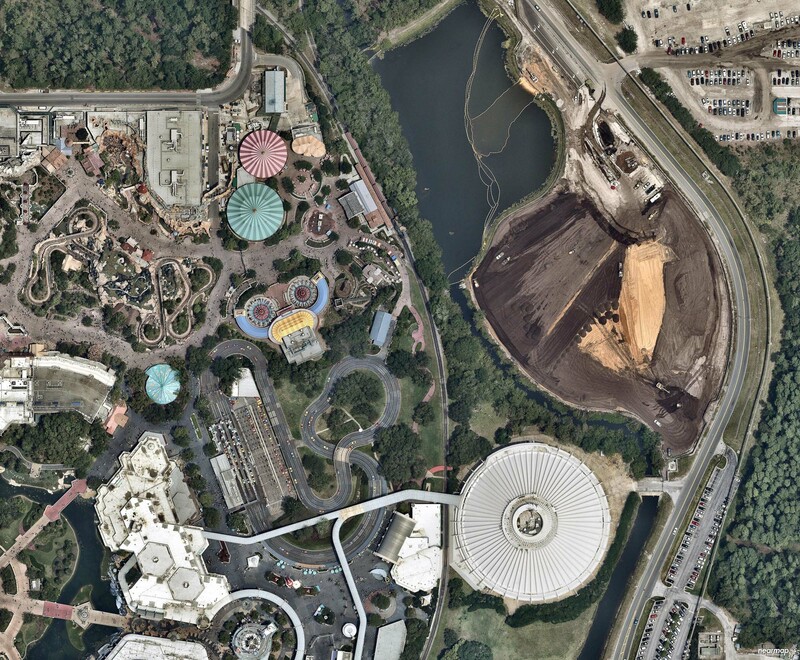 Our friends at Nearmap are back again with some excellent aerial imagery of the TRON Roller Coaster construction site at Magic Kingdom. 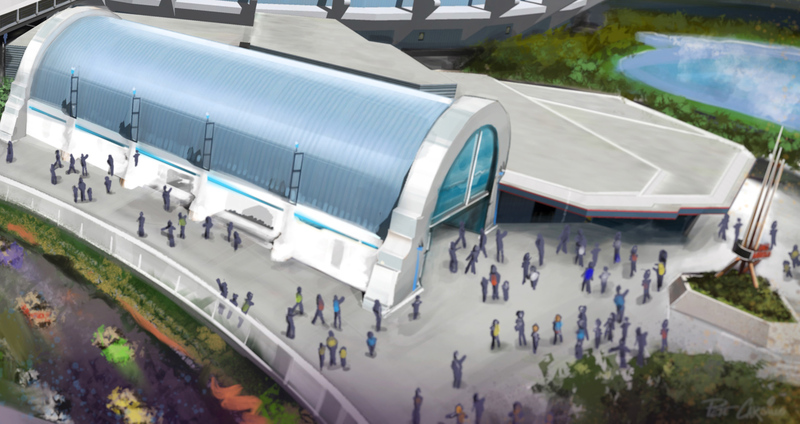 Before we jump into the imagery, let’s take a look at the concept art that was released a year ago at the D23 Expo. 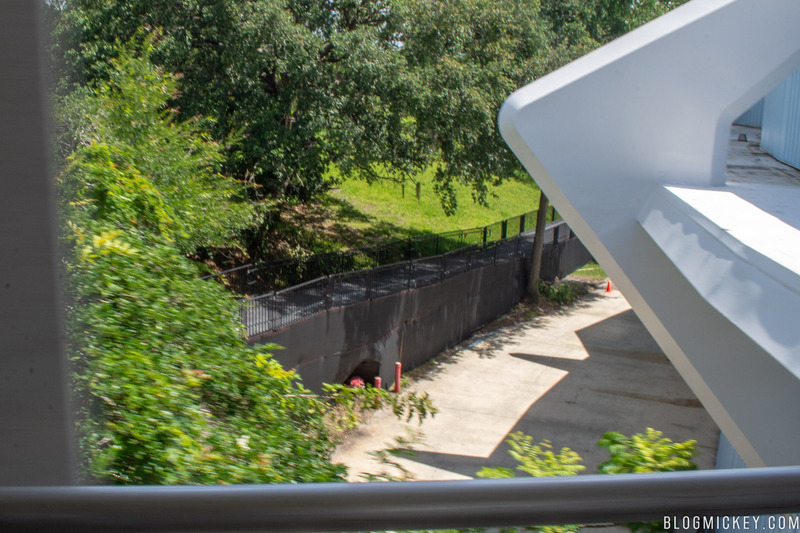 Here is a closer look at a few points of interest. 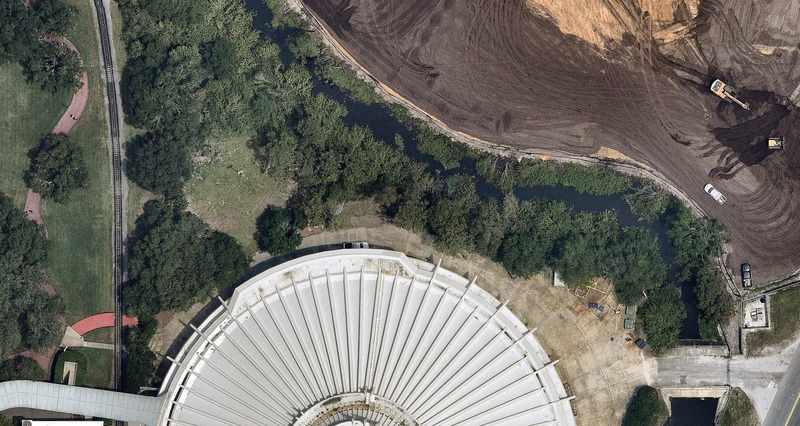 Now, let’s take a latest look at the imagery made available to us by Nearmap. 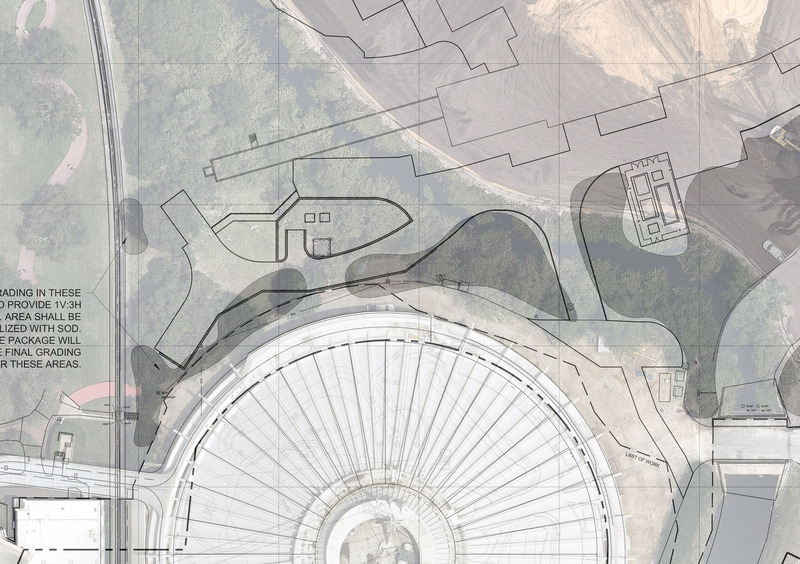 A wide look shows just how massive the scale of this project is. 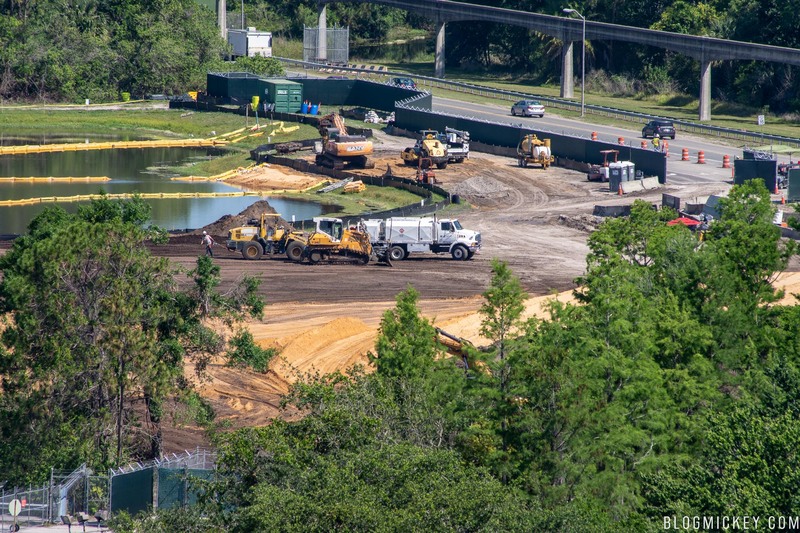 A total project impact of just under 30 acres includes a canal and pond re-configuration as well as the massive grading process currently underway. 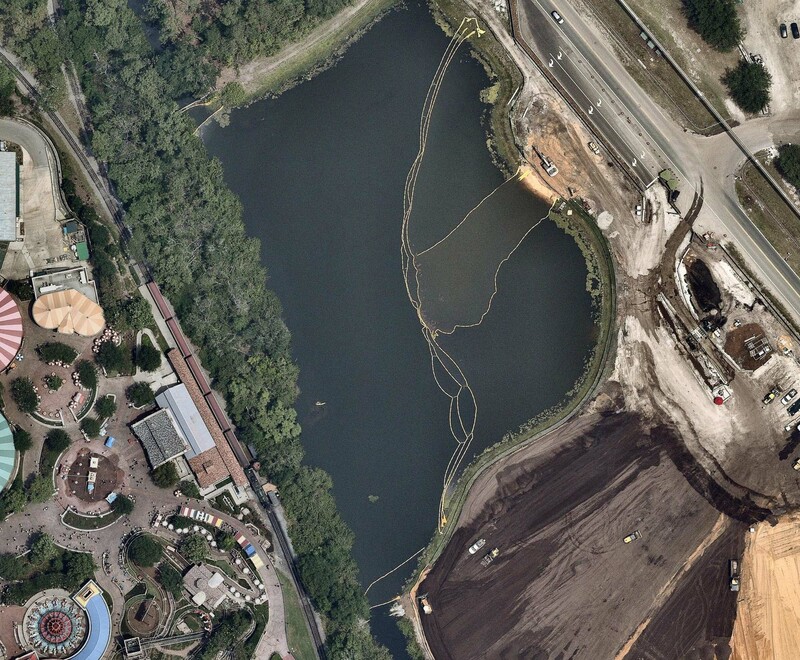 Here’s a closer look at the affected area. 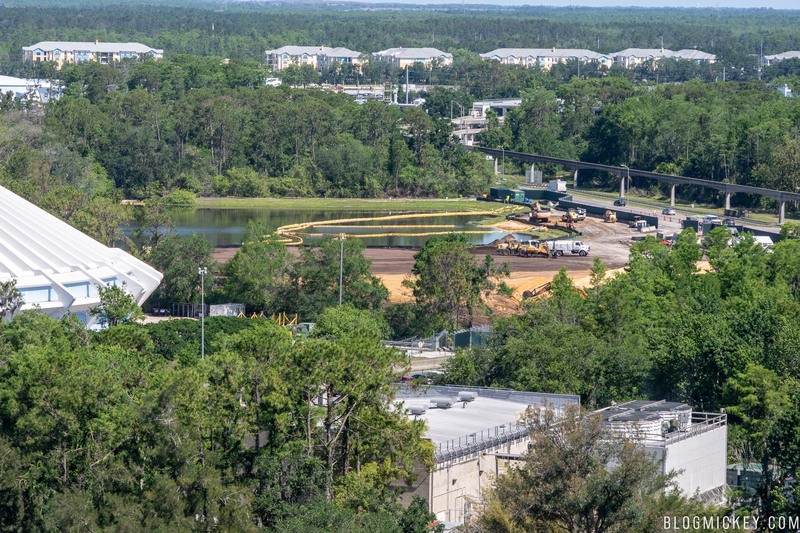 Here’s a look at the work above from atop The Contemporary from the same week as the aerial photos above. 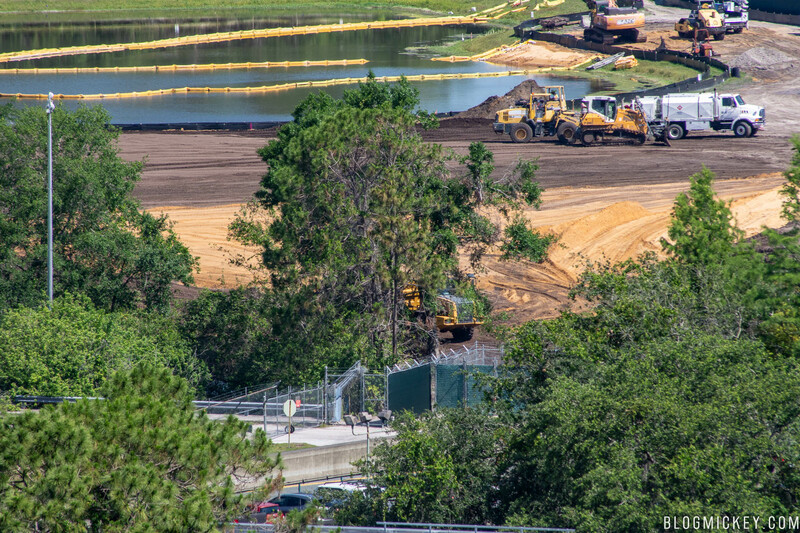 As part of the TRON work, there is also some work going on in the lake to the north of the site. 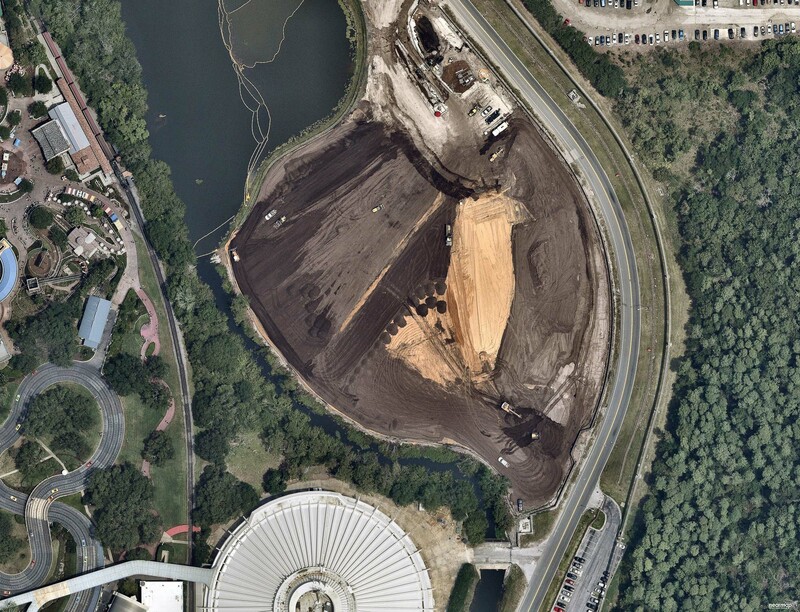 Here’s a look at the construction site aerial with the relevant permit that we first spotted superimposed over it. 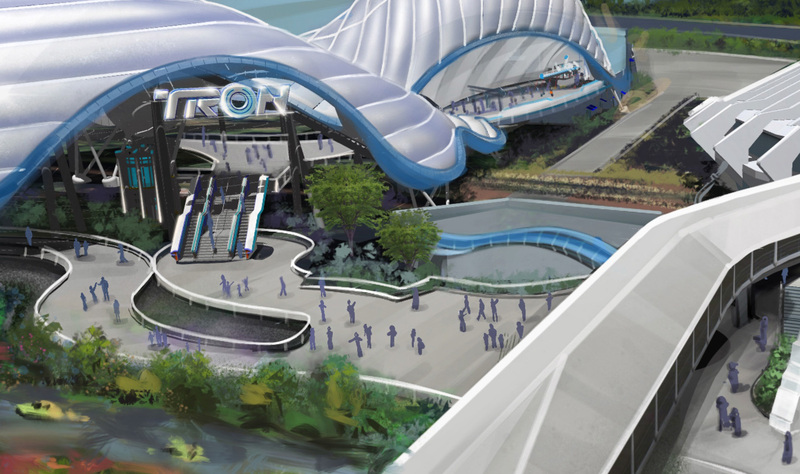 Here’s a closer look at the area that will serve as the entrance to the TRON Roller Coaster attraction. 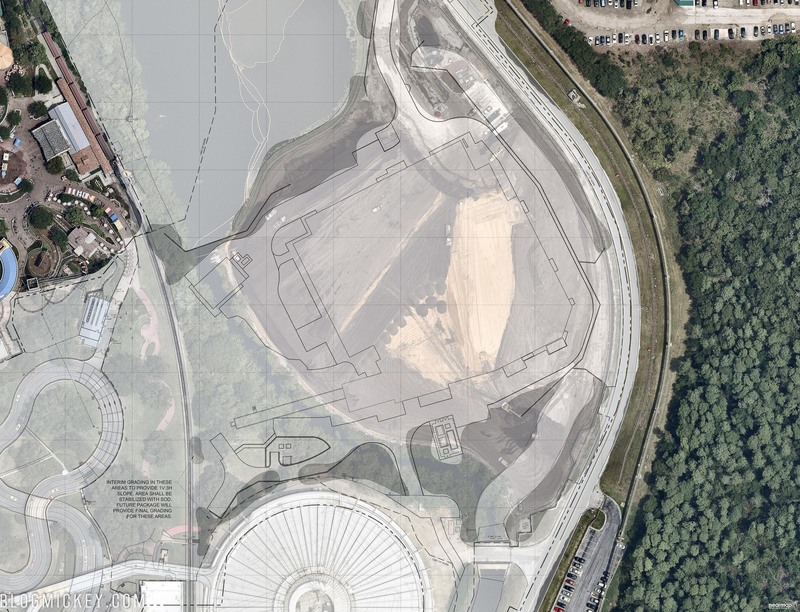 The red pavement above is relatively new and represents roughly where the TRON Roller Coaster entrance will be, according to the permit. 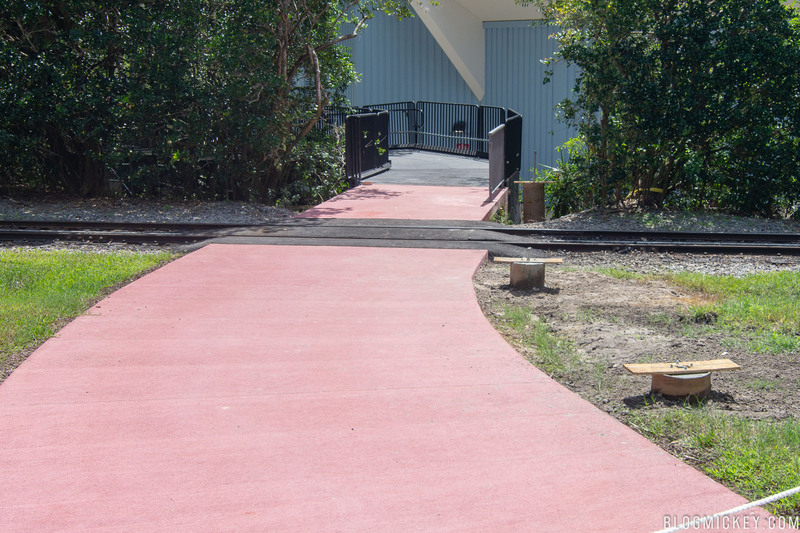 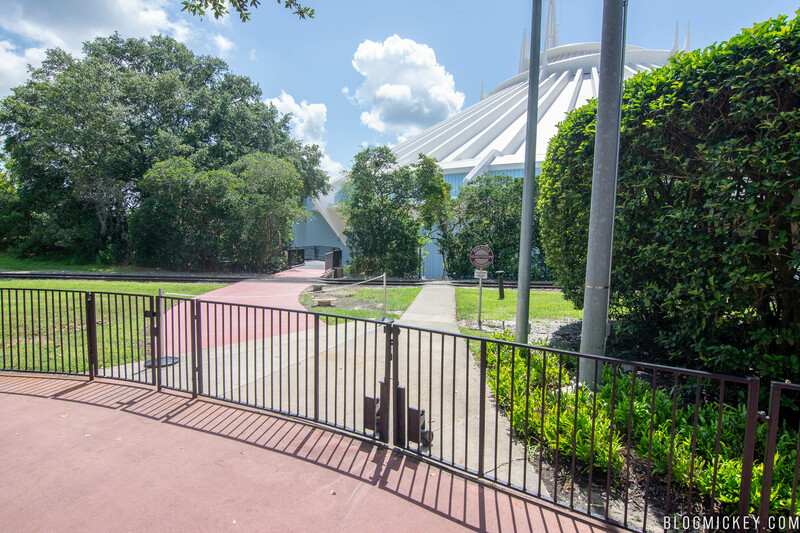 Disney has recently added a ramp at the end of the new path, possibly to support a new Space Mountain exit as well. 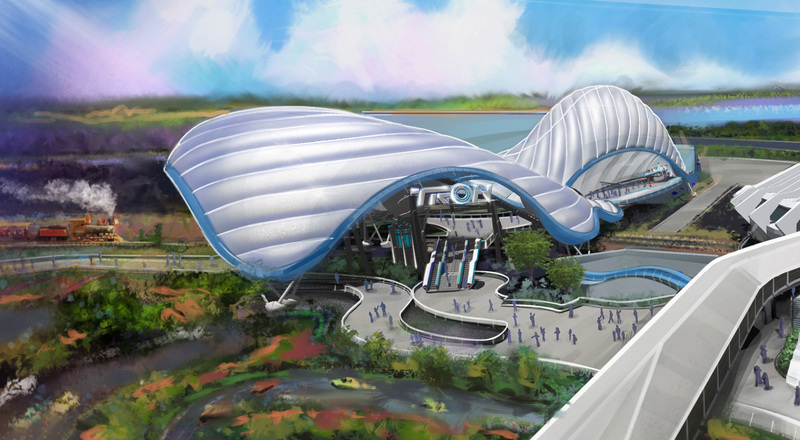 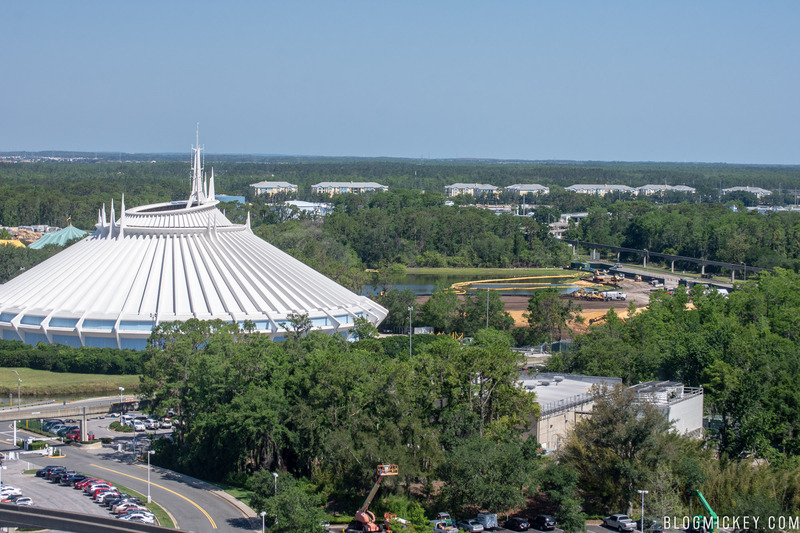 TRON will open at Magic Kingdom before the 50th Anniversary in 2021, with permits suggesting work will be completed in Summer 2021. 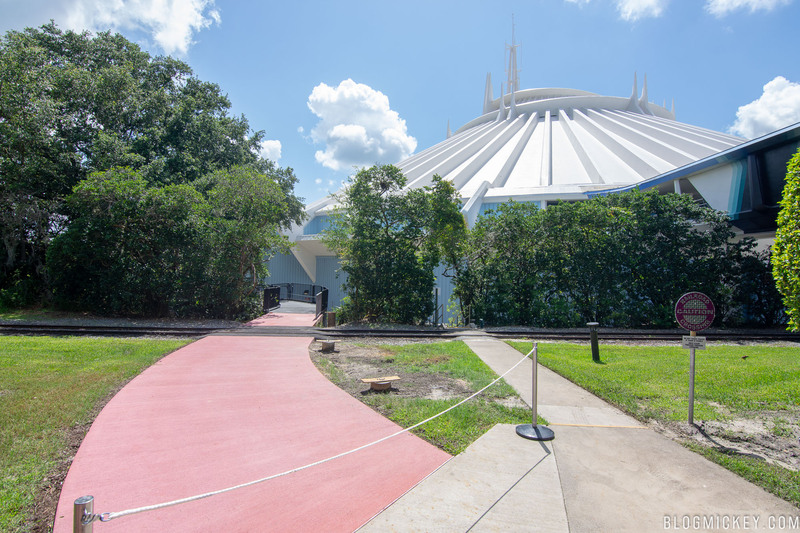 If you can’t wait that long to see what Disney has in store, check out our walk-through of the identical attraction now open in Shanghai Disneyland.